Published under the pseudonym of Frater Perdurabo (Aleister Crowley) and Soror Virakam (Mary d’ Este-Sturges). [ ii] Within a frame ‘PRICE | FOUR GROATS | OR | ONE SHILLING | NET’. 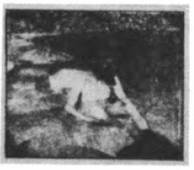 Illustration "A Good Position for Meditation." - Christ Saviour of the World (Frontispiece). - A Good Position for Meditation. + (Parts I and II) Sangreal Foundation, Texas, 1969. 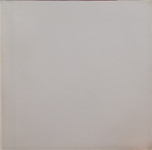 + (Part I Only) R. Y. M., 1969. + (Parts I and II) Sangreal Foundation, Texas, 1972. + (Parts I and II) Gordon Press, New York, 1974. + (Parts I and II) Samuel Weiser, New York, 1980. + (Parts I and II) Samuel Weiser, New York, 1986. Dianne Frances Rivers, A Bibliographic List with Special Reference To the Collection at the University of Texas, Master of Arts Thesis, The University of Texas, Austin, Texas, 1967, pp. 96-98. Aleister Crowley with Victor B. Neuburg and Leila Waddell, Magick, Red Wheel/Weiser, LLC, San Francisco, CA, 2008, pp. 718-719. The idea was as follows. I was to dictate; Virakam to transcribe, and if at any point there appeared the slightest obscurity—obscurity from the point of view of the entirely ignorant and not particularly intelligent reader; in a word, the average lower-class man in the street—I was to recast my thoughts in plainer language. By this means we hoped to write a book well within the compass of the understanding of even the simplest-minded seeker after spiritual enlightenment. That hater of mystery-mongering, the late Swami Vivekanandar, gave us one of the clearest expositions of Raja Yoga extant. Frater Perdurabo, with virile forcefulness, follows in the footsteps of his worth predecessor. In taking his readers through the various stages of Raja Yoga, he develops his theme with a terseness and lucidity all too rare in this field of literature. He begins with the assertion of "a secret source of energy which explains the phenomenon of genius" (in this case religious genius). Naturally the attainment of Samadhi is not unattended with danger, and the adventure is not lightly to be entered on. In Raja Yoga there is no room for half measures: one must push on relentlessly to success—failure means disaster. The effect of Samadhi on the mind is tremendous. "It is the most vivid and catastrophic of all experiences. But the result of the most transitory flash (of Samadhi or Union) repays a thousandfold the pains taken to attain it." But of union in its higher stages we are told that only a few characteristics can be specified, and that in language that forms no image in the mind. Those who experience it fail to bring back any adequate memory. In it "the All is manifested as the One: it is the universe freed from its conditions. Each part has become the whole, and phenomenon and noumenon are no longer opposed." Such is a brief sketch of a noteworthy shillingsworth, which no student of Raja Yoga should be without." The price of this book is not three pence but one shilling. One is “a” and “a” is one—according to Qabalistic enumeration. So, in some ways this book may be described as A.1. Inside we learn that the price is four groats or one shilling net. Hitherto we had thought that a groat was worth four pence. Evidently the odd groat represents a discount of one-fourth of the gross price, which you can claim when paying the 3 groats or one shilling net. It is noticeable that everything so far as practicable is “on the square,” and made subservient to 4. The pages, for instance, are printed on forms 4 inches by 4 inches. Presumably the publisher, in sending this book to us for review, was under the impression that the unlimited genius and talent at our disposal embraced an expert knowledge of Voodoo, Juju, Qabalah, and Magic. 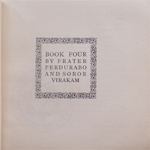 Indeed, we learn that “Book Four” is but the precursor of a twin volume on “Magick”—with a K.
Although the authorship of this exotic exudation of esoteric exegesis is attributed, on the title, to Frater Perdurabo and Soror Virakam, a note at the beginning tells us that “This book is intentionally not the work of Frater Perdurabo,” as “Experience shows that his writing is too concentrated, too abstruse, too occult, for ordinary minds to apprehend.” We should shay sho ! 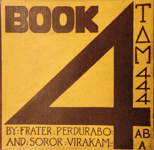 The book, then consists of a record of some disjointed fragments of his (Frater Perdurabo’s) casual conversation (duly noted by Soror Virakam) which it is hoped “may prove alike more intelligible and more convincing.” So mote it be ! So we set our ordinary minds to work with the idea of apprehending. In 18 pages of “Preliminary Remarks” we get the foundation of the argument and the premises of what is to follow. We learn that the geniuses who were the accredited founders of the world’s great religions had one point in common; they went away beyond human ken (into the wilderness presumably) where they discovered the secret source of energy which explains the Phenomenon of Genius. On their return, with this tremendous power to back them up, they started the revolutions which upset the existing evil state of things and made multitudes of disciples. Anyone by following out definite rules can go and do likewise. An indication of the method is given in the succeeding chapters on Asana, Pranayama, Yama and Niyama, Pratyahara, Dharana, Dhyana, and Samahdi. (The Indian names of certain mental states and conditions.) These are described in plain English, and evidently are most adapted to the requirements of those who can afford to leave the hustle of modern conditions of life, and enter into a retirement favourable to the indulgence of remaining for hours in some particularly painful and tortuous attitudes, in the attire which Nature has bestowed at birth (vide photo of a gent who seems to be emulating a foetus in its pre-natal moments). Can it be F. Perdurabo? Finally, students are invited to offer themselves as probationers for instruction, and must possess certain books, which can be secured on payment of the modest sum of Six guineas, $31, or 156 francs. What ho! Thus, the short cut to the attainment of “Genius.” We hope we may be pardoned for humbly suggesting that a cheaper and quite as practical a cut, is to become a regular, faithful subscriber and reader of The African Times and Orient Review. —The African Times and Orient Review, Feb.-Mar. 1913, Frater Ad Infinitum.